While the Boot World was focused on the latest releases with the Adidas X15 and ACE15 as well as the Nike Hypervenom II, there were a few custom celebratory boots that may have been passed over! Xavi, Steven Gerrard, Eden Hazard and Andre Ayew all received special custom boots to celebrate significant events in the respectable player’s careers. Each design was unique and was a truly custom boot as the designs were for the player alone and were not released to the public for purchase! 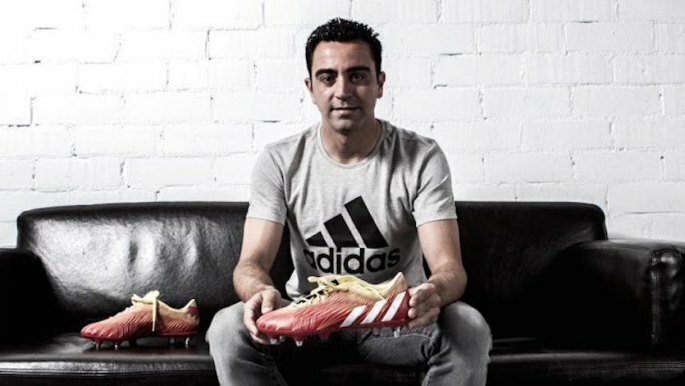 Xavi, Steven Gerrard, and Andrey Ayew all received boots to celebrate their last home games for Liverpool, Barcelona, and Marseilles, with all three leaving the club at the conclusion of their respective seasons. Eden Hazard’s custom boots were designed to commemorate his awards collected during the season, such as the Professional Footballer’s Association Player of the Year Award. At 35 years old, Xavi has had one of the most impressive records with Barcelona. With 500+ career appearances with the club as well as 3 Champions League and 8 La Liga Trophies, he has one of the most coveted careers without even counting his accomplishments with the Spain National Team. He is playing in his final games at Barcelona, as he will leave for the Qatar based Al-Saad after this season. He wore them in his last game against Atletico Madrid so I wouldn’t be surprised if he pulled them out one last time for his final La Liga game against RC Deportivo. The boots themselves are red and yellow with hints of blue to symbolize Barcelona’s club colors and they also feature the number 6 and “XAVI” printed on the insole. 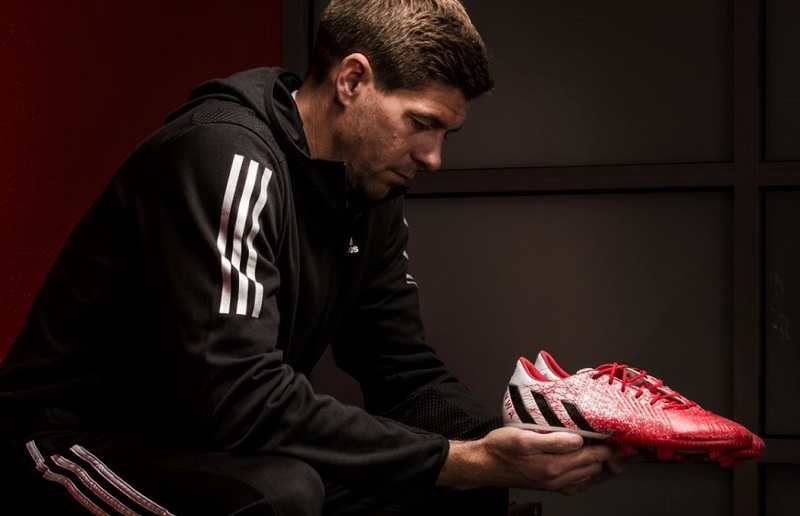 To celebrate Steven Gerrard’s 17 years with Liverpool and endless dedication, Adidas created a special customized pair of Predators to honor his career and last game at Anfield. The custom pair features many personal designs with a red and white design throughout. 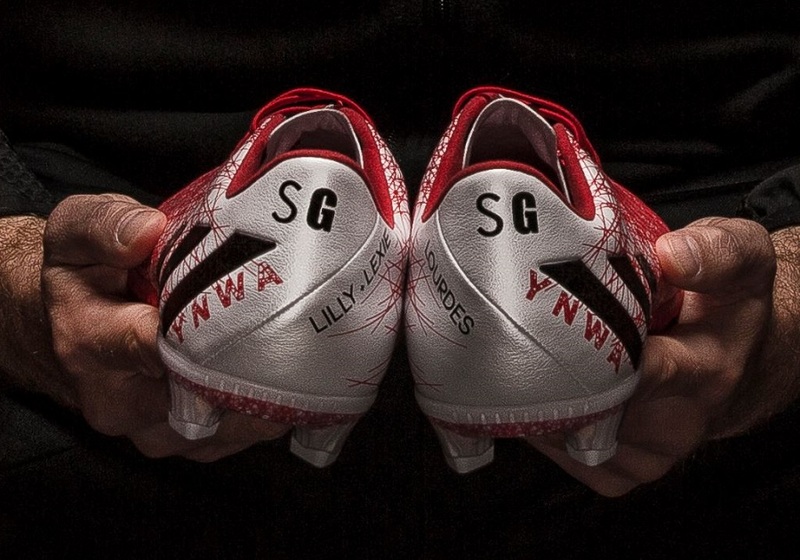 On the heel, the boots feature SG for his initials, the names of his children, and YNWA as representation for Liverpool’s You’ll Never Walk Alone. Gerrard wore the boots in his last few games with Liverpool and will definitely be missed by all fans of the club. 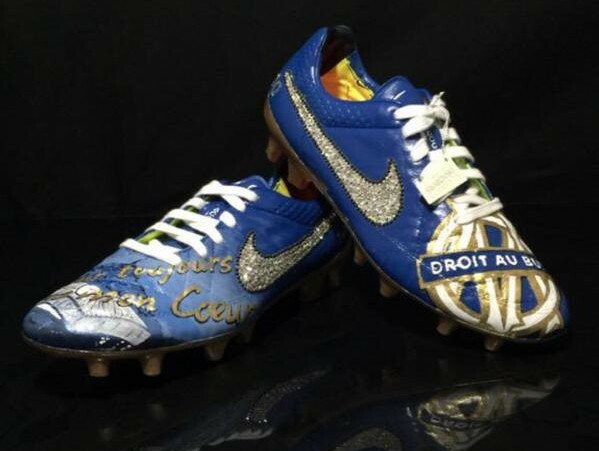 Another loyal player playing his last game for his club in a pair of customized boots was Andre Ayew for Marseille. After seven seasons at the Stade Velodrome, Ayew confirmed that he would exit the club as Marseille wouldn’t be able to fulfill his contract and pay his wages for the next season. Ayew’s father also helped the club win the UEFA Champions League Final in 1993. The Tiempos he wore appear to be hand painted and feature the club’s colors and crest as well as Marseille’s motto of Droit Au But. The boots are definitely classy and were worthy of Ayew’s sendoff. Eden Hazard is the only player featured that isn’t getting a pair of boots for his departure from his club. Instead, Nike gave him a pair of custom Vapors to celebrate his special season with Chelsea and many awards that he has accumulated. Some of his stats for the 2014/15 Premier League season are 14 goals and 9 assists, and he has been a vital part of Chelsea’s Premier League win. The boots feature a CR7 like “HAZARD” print on the instep in blue with a lightning bolt design. The outside of the boot also features blue lightning like bolts on a white base. The boots also have a timestamp on the heel with his initials and a French phrase which translates to “Nothing touches me”. Hazard received the only pair in existence from Nike, which definitely makes it a special pair! Which of the featured custom designs is your favorite? Let us know in the comments below! Ayew's tiempos are amazing! Always love hand painted ones, especially when they don't follow the normal design. It would be awesome to be able to get some of these. I remember playing soccer back in high school and always wanting to get customized boots thinking that it would look awesome to have something so unique. Now though, it would be awesome to just have something this nice. Hopefully I'll be able to get some of these before my rec league starts up again. I really like the first pair you showed, I might have to look for something like that.